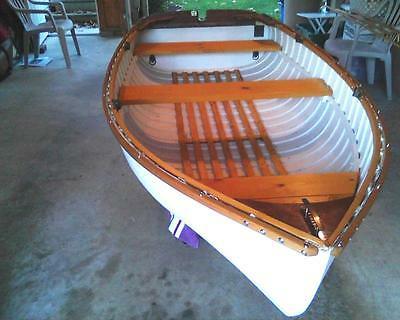 Penn Yan reconditioned 1954 8 ft. Standard dinghy. This fantastic classic survivor is a perfect companion for that classic wooden coastal cruiser. A marine company originating in upstate New York, Penn Yan Boats Incorporated was founded in 1921 by a German immigrant to the United States. Penn Yan Boats built wooden speedboats up until the end of 1966, when they redesigned their entire product line. The desirability of the Penn Yan Composite construction is shown to its best advantage in a dinghy. The alternate soaking when in the water and drying when exposed to the sun ruins the ordinary wooden dinghy but has no effect upon a Penn Yan. Wide and deep, the 8ft. Standard is a thoroughly seaworthy craft. 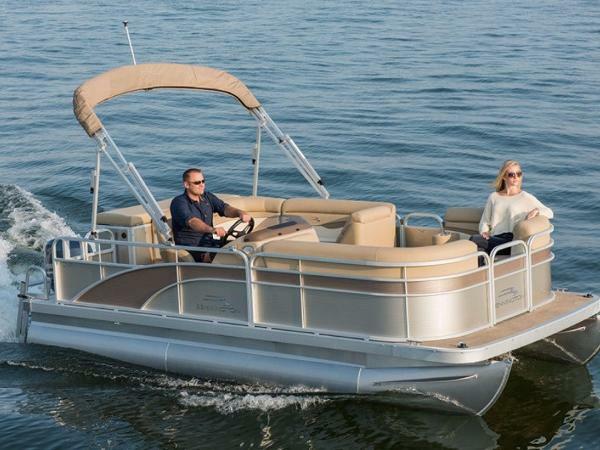 Its round bottom is easy to propel and faster than ordinary dinghies when fit with a small outboard. The canvas hull covering was replaced with fiberglass and varnished interior painted by original owner for ease of maintenance and durability. I'm the second owner. Always stored inside! The famous "Striptight" construction hull comes complete with its original bronze lift rings and oarlock sockets. The interior and exterior were recently sanded and refinished in exterior satin enamel. 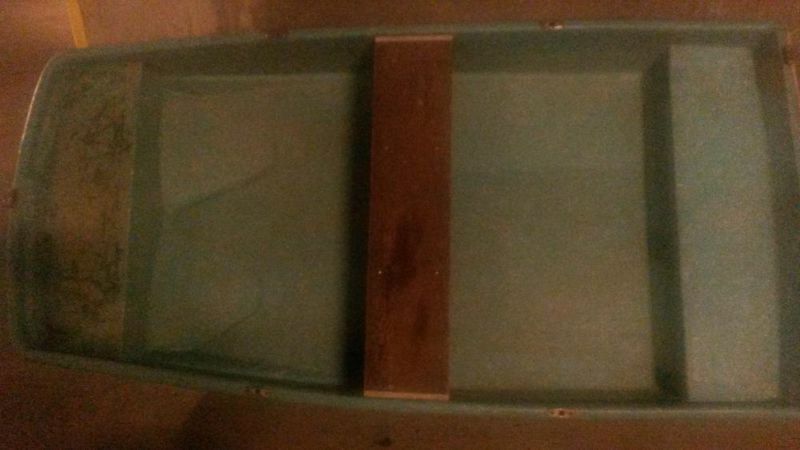 Gunwales, gunwale bumper, inwales, floorboards, stem band, skeg and seats have been replaced with appropriate materials. It comes with a new cover, oarlocks and oars. The dinghy has a huge capacity for its size and I've fastened the seats so they are easily removed for even more capacity. Easily propelled by oars or low power outboard, the Penn Yan Standard tows properly, as well. It fits perfectly in the back of a small pickup truck on a closed cell camping matress. A much loved-and-cared-for family boat that is a dream to own, you cannot reproduce a class act boat such as this 8 ft. Penn Yan Standard dinghy for twice the price. Internationally famous Penn Yan dinghies are the standard by which all others are judged. 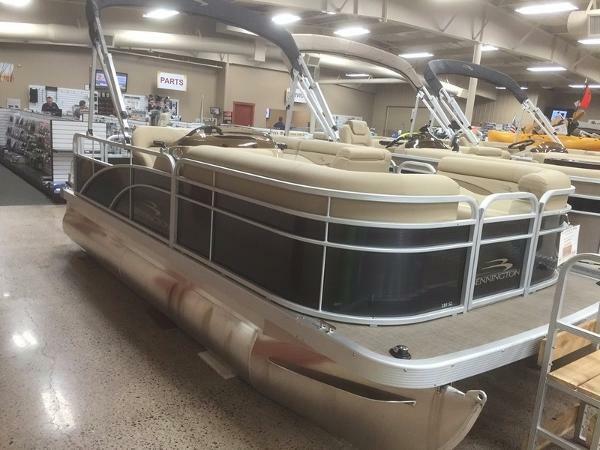 Sure, you can have some very nice new tenders for $9,500 or more… Or… You can have THIS very nice tender for $1,800 and keep $7700! There is NO trailer available. I'm asking a very reasonable $1800. Don't even think I'm going to accept some lowball offer. Paypal, cash or certified check. Local pickup only. Westminster is a Central Maryland community easily accessible from the Baltimore, Washington, D.C. and Annapolis, Maryland and southern Pennsylvania. 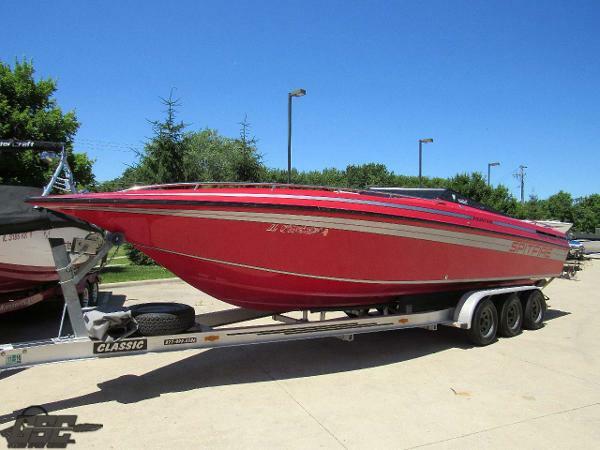 GET READY FOR SPRING ) Asking 15,500 For sale is a 1996 Baja outlaw 25th anniversary Edition. 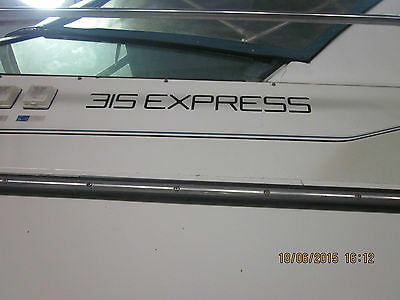 454 boat has many new extras asking . The Boat is a GREAT boat a lot fun and very fast 62mph WOT which is plenty for most people. 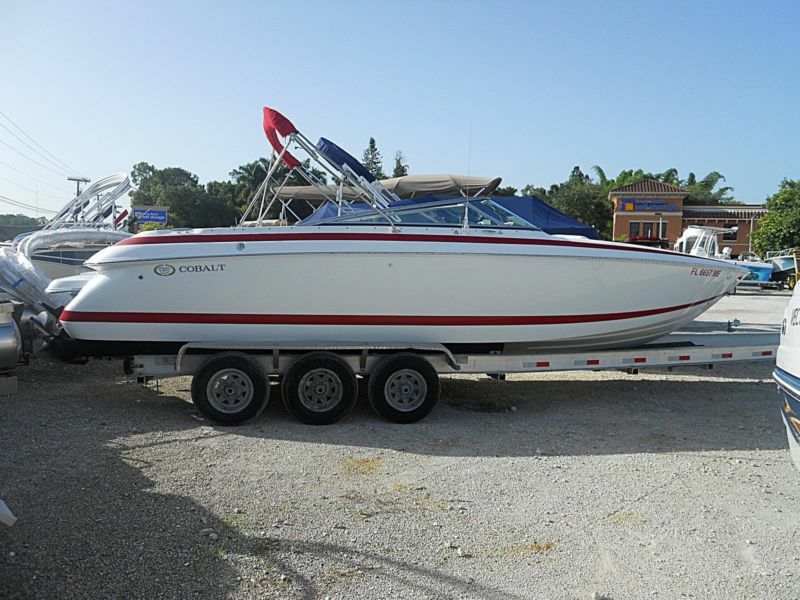 This boat was opened up TWICE since I owned it very well maintained and cared for its only in the salt water at most 2 weekends a month outdrive never painted. I had had bottom Barrier coated by interlux. all pictures and receipts to prove Boat is flushed out after every use. Its stored on a rack boat only stays in water on weekends. PLEASE CONTACT ME BEFORE BIDDING SERIOUS INQUIRES ONLY. NO LOW BALLERS LOL 917-348-7903 I RESERVE THE RIGHT TO END THIS AUCTION AT ANYTIME . THANKS FOR LOOKING New rebuilt top end . New heads many more 1.New dual batteries with switch 2.New radio with (2) amps 1500 watt 3.New raw water pump 4.New (mercruser) Manifolds and risers 5.Led lighting though cockpit 6.New custom (cockpit cover) 7.Led cup holders 8.New custom reupholstered engine cover to match boat. 9.1996 eagle trailer 10.Drive Shower 11.New trim tab pistons 12.Custom 4 Stainless blade prop, 1 (3) blade stainless prop 13.Lovrosi steering wheel (purple) 14.Custom travel cover 15.Pop --up cleats 16.Interior all well maintained in good shape 17.Brand new anchor with 150 foot rope 18.Garmin depth finder 19.New swim platform padding 20 whole new Thunderbolt ignition system, coil, cap, wires, router, ignition sensor, ICM module. 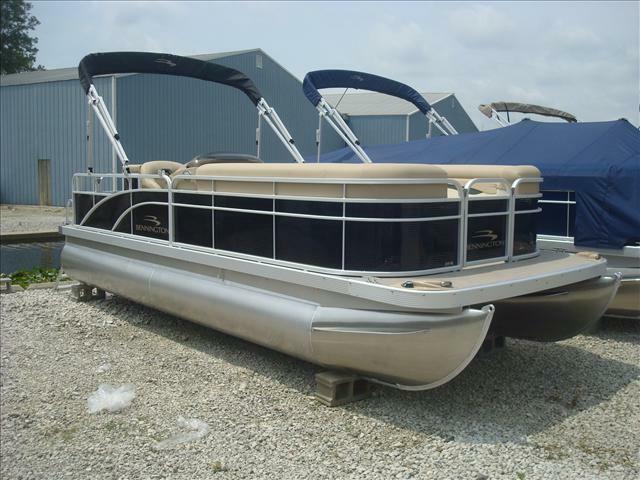 UP FOR AUCTION IS THIS 16 FT ALUMINUM FLAT BOTTOM JON BOAT WITH A GREAT RUNNING 9.8 MERCURY 2 STROKE SHORT SHAFT MOTOR, AND BOAT TRAILER! 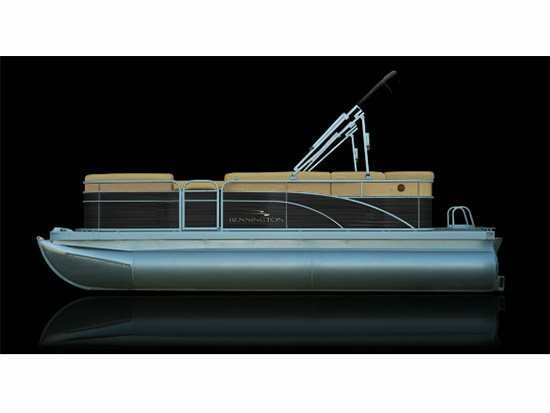 THE BOAT HAS BEEN PAINTED WITH A CAMO PATTERN, AND HAS A NEW PLYWOOD FLOOR WITH BUILT IN STORAGE COMPARTMENTS WITHIN THE RAISED DECKS. 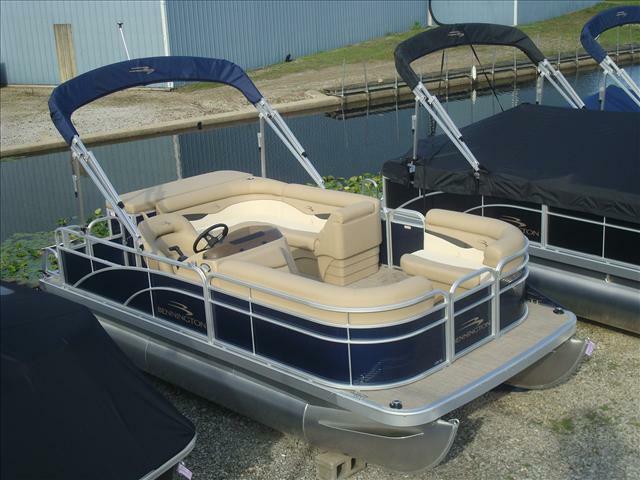 THE BOAT HAS A STABLE 40 INCH "FLOOR" WIDTH, WITH A TOP BEAM WIDTH OF 56 INCHES! THE MOTOR HAS JUST BEEN SERVICED, AND RUNS, IDLES, SHIFTS, AND PUMPS WATER AS IT SHOULD! 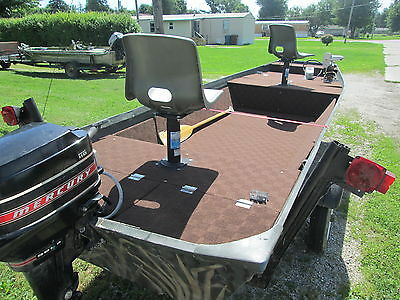 COMES WITH 2 ADJUSTABLE PEDESTAL SEATS, FOOT OPERATED TROLLING MOTOR, MARINE BATTERY, METAL VENTED GAS TANK WITH FUEL LINE AND CONNECTORS, 2 ANCHORS, AND ROWING OAR. THE TRAILER PULLS EXCELLENT, AND HAS GOOD WHEELS AND TIRES. I AM NOT SURE OF THIS BOAT'S MANUFACTURER, AS I PURCHASED THIS BOAT USED, AND I CANT SEEM TO FIND THE MANUFACTURER'S NAME ON THE BOAT. THIS BOAT HAS BEEN ON THE WATER SEVERAL TIMES THIS YEAR. 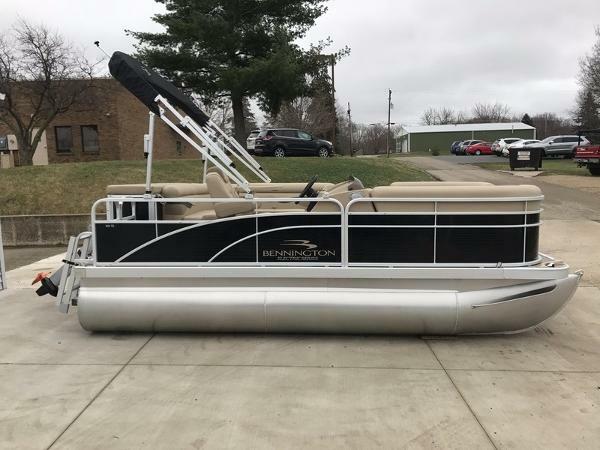 LIVING IN INDIANA, THE BOAT DOES NOT HAVE A TITLE, (A BILL OF SALE IS ALL THAT IS NEEDED FOR REGISTERING IN INDIANA), AND THE BOAT TRAILER HAS A CLEAN INDIANA TITLE. I WILL BE HAPPY TO SHOW YOU THE MOTOR RUNNING FOR YOUR INSPECTION, BUT LIKE ALL ITEMS I SELL, THIS ITEM IS BEING SOLD AS IS WITH NO EXPRESSED WARRANTIES OR GUARANTEES. One State room,full sleeper couch in salon, Can sleep 6 to 8. Two refrigerators, TV, Microwave, stove. closets, bathroom and shower. Electronics included: Radio,Garmin, Depth finder, All ready to go once other engine is fixed. Just in pull into the dock and plug in. $14000.00 AS IS OR if you want a seller to finish motor in working condition will sell for $19,000.00.Buyer must place payment of $500.00 within 48 hours of auction close. Full payment required within 7 days of auction close.Owner has no time for recreation, to busy working.Shipping or Pick up is the responsibility of the buyer. 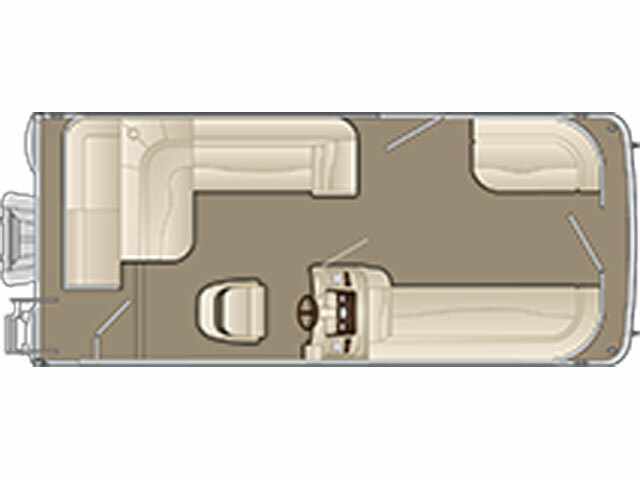 2017 Bennington 218 SL - 8 FT Wide, Canvas Black, Vinyl Napa Beige, Designer Vinyl Full floor, Docking Lights and rigged for Yamaha. LIST price shown without motor and can add size of Yamaha of your preference.